Everything is overtuned. Damage and defense. Mirage has evades for days and Soulbeast can kill you in less than a second with bow. Alpha striking from stealth should be nuked from the face of the game. Mechanics need to be introduced to counter evade. The universal dodge mechanic needs to be called something else so it doesn't get tied to skills that allow you to evade. The abundance of might stacks need to be normalized. A single character should not be able to get and maintain 25 stacks of might. Boon time needs to be reduced, more focus needs to be put on a characters base strength. Damage modifiers that boost damage by a percentage needs to be removed and replaced with something modest and a static number. Group heals need to be nerfed, the game was never meant to have a class who is dedicated to healing. Mirage clones need to be nerfed and consolidated so we don't have 6 six clone carnival or a 12 clone carnival if you have 2 mesmers on one team. 3 clones should be the max. A character should not be able to tank, do damage and support at once. If you can do all three then you shouldn't be good at any of them. If you focus on one, you should be weak in all other areas but strong in that particular category. Thats all I can think of for now. But as it stands, I do not foresee Anet making any radical changes to the game. GW2 was destined to be a not so good pvp game due to the games design. Its focused on spam and pbaoe. That is never good for a competitive game. What kind of question is this? Of course it's too high! Those who say it's fine or low simply put, did not play spvp pre-expansions. If they did play pre-expansions....well....I would like to have whatever it is they're smoking! As a 6-year veteran, yeah it's too high. Powercreep has infested pvp. Damage and defense is way too over the top thanks to elite specs. I'm way past the point when to suggest things need to merely 'tinkered' with. pvp needs RADICAL changes. A radical redesign and restructuring of elite specs is a good start. Well when they have to remove tanky amulet's because the balance team is to lazy to do there job, this is what happens. don't give the Spvp team kitten though. at least they TRIED unlike the balance team who could of fixed the problem and targeted the outliners defense / sustain. A power mesmer can delete an paladin amulet necro in one go with shatter from stealth. So yes, it's too high. And no, dodging is not the answer, because you have no way of knowing if he'll actually do it. He may well just try to bait dodges out before real thing, and you have no way to see what's up and counterplay that. A profession should not be able to solo delete a tanky amulet necro in under a second. Literally. Wowow an overwhelming votes for damage being to high. Let see when it will change. I say it wont ever. Its either bunker meta or dps meta no inbetween or we have it already. Personally i rather this burst meta then the ladder. Damage was definitely too high. They wouldn't have continuously nerfed ele damage on several skills/traits if this wasn't the case. Now eles can't oneshot people with Earthen Blast anymore. To much dmg with to less defense to recompesate, and if there is is op (via mirage). Gw2= we have overrun dmg on every profession so we can 1n1 any1, so if we add group fight up to this its GG. Over that only defense is dodge and skill to remove CC/slows taht are very limited to use, so you are dead in seconds. Or Eaten alive by conditions . Even if we try utilise group there is too much dmg overall. So yea GW2 is all about dmg , there is no real mitigation, or any strategy to counter. IF you change to counter condition you sacriface defense, and if defense you get destroyed by condition. We can call it rock/paper/scissor but it only will blackout problems not solve it. I think Anet should change numbers for only PVP to put more strategy to it. But overal i think the Traits system need be revamped for all profession in PVP as now its an uncontrolled mess. The only solution is to buff ele damage. Edit: not increasing numbers, just make stuffs hit. imo i think some classes m8 have easy access to high damage gimmick with poor trade offs, wich end in low skills easy to perform gimmicks, and some can do it with unblockables. Overformance should not be alowed to perform alone but in team work, due lack of decent skill design, ended in gimmick rotations or builds being used like almost one shot 1 player trough a well timed block, or have like 10sec of unblockables while theres almost none to counter it besides 2 dodges and 1 blind. Some builds m8 needed to get more demanding effort from the player or more combat mechaniccs need to apear over time. Watch Rom rant about current state, boonbeast, mirage, how trash balance is compared to before when we actually had VIEWERSHIP. At what time in the video, mate? You will simply switch targets with your complaints once ( in case ) they nerf dmg, you would switch complaints to sustain builds claiming the sustain is too high so must be nerfed....then the devs buff dmg first then nerf sustain and once again you start whining about dmg...a never ending circle. The truth is the GW2 community at large fail (at their leasure) to recognise all types of damage builds and sustain, they will instead try to get nerfs on particular classes/builds while saving their own and further promoting their own agenda. wanna an example? In the past , the "honest" players complained about healing from ele or should we say the sustain was too high on ele but correctly looking at the bigger picture we see that the term sustain includes all sort of defenses/kiting not just the heal burst of a single class and what I mean by that? And Monk's focus is not really the only outlier, we have also https://wiki.guildwars2.com/wiki/Might_Makes_Right and there are others also, traits providing too much sustain for the actual investment required which allow the creation of easy mode gimmicks . -Who does too much dmg? -How do they reach such dmg? -What do they sacrifice for their dmg? I often see mesmers and rangers mentioned in this thread...sarcasm on.like warrior , guardian and engineer are totally fine with their dmg to sustain ratio sarcasm off, when the truth is that rangers and mesmers are the ones sacrificing the most sustain out of all current meta builds if they want to do serious power damage. If Anet ever decides to adjust Damage output. They gonna have to adjust as well heals & regens & sustains. Or your gonna get prevalent unbalance builds that's gonna be more of a snooze fest. Can you spell immortal ? This poll is missing a crucial option. Which is that damage is fine in sPvP but too high in WvW. Damage output is too low. If you play a good build, you have always enough defense. Mean you use a bad build or use your defence wrong at the other case. The biggest difference after every add-on is that you had more defense then before. So it allows to do more mistakes. For most this means that they feel they are better than before and for the best players, that the fights last longer against weaker players. Cause we have more defense, that neutralize all dmg, we had on the opposite more dmg too. 3.a. but wait, more dps vs neutralizing all dmg means still you don't do more dmg? How does it work?????? => You have minimal more dps and a huge burst ingress . Now we have a better punishment and reactive combat system, thanks for that! At end i can say that some classes/builds carry the players too much. But not on the dmg cause a bad player never will do enough against a good one, but a bad one will survive unnecessary longer agaist a good player. So most of you feel there is more dmg, but don't realize you survive longer than before. Extreme roles are bad because it becomes a counter vs counter battle. If somebody is running full zerker damage set then you need to either be zerker too or bunker up or condition them. The damage mitigation just isn’t enough to outlast the dps in this game. This means the fights don’t last very long unless you’re in a huge zerg (wvw) but even then pro guilds will wipe pugs every time. Also base stats like toughness and health are different across professions. Stability, condition removal, healing, crowd control and dps is unevenly spread across them too. This means that some professions are more suited to “tank” roles. While others are more suited to “condition spam”. Then there are others suited to “zerker” burst dps. This makes the game very difficult to balance because it is unbalanced to begin with. While yes it is true every profession can be any role some are more suited to it than others. The game can not be balanced except by numbers it seems. There is many lessons to be taken from gw1 such as all professions having the same base health. Also healing being much more effective than it currently is. Then the pvp in this game might be more than just spamming of conditions and dps. There would be a true counter rather than just damage avoidance. I think the biggest problem is balancing for different skill levels. Because some players have better reflexes or more experience playing a profession. This means that it is not even the professions that are unbalanced but the actual players themselves. So what I have seen Arenanet do is make very easy builds like condition bunkers that everyone can use. Then there’s zerker thieves, elementalists, bunker guards, etc, that take a bit more skill. The main problem as discussed in Sirlin’s book is balancing for skill. This is very difficult and he said that by giving easier options that can work, but don’t work as well as something which requires more skill. That is balance and I think Arenanet know this and what we have is a game balanced for different skill levels. That seems to be the logical way of thinking about the metas of this game in pvp and wvw. And to me it does seem balanced and if people complain they simply need to “learn to play”. But that does not mean that builds that require much more skill should faceroll everybody either. So in conclusion Balance is very subjective but if you balance for different skill levels it becomes much easier. And that is why a game can not ever be truly balanced. Because players and people have so many different skill levels. The way we experience competition is by winning or losing. But also I understand that by being too subjective in our opinions of balance is bad feedback. By making the pvp combat challenging but also not too hard to learn creates a diverse pvp community. The problem is when the game is objectively balanced completely without any player feedback then it becomes very unpopular quickly. This is why Balance is subjective because players who pvp want to have fun which is highly subjective. This is just my opinions of course because I’m sure that general balance is much harder than it seems. Let's use the conquest meta as an example. We fight each other on small circles. And we have to hold these circles to win the game. It’s not just the power creep that is the reason these AoE classes are the best. It’s simply the fact that everything else that could counter the Conquest Meta has been nerfed by Arenanet to make way for Esports. Instead of a power based twitch reaction time meta we have an abundance of AoE DPS and passive gameplay. We have area of effect skills ticking away on a point. We have Bunker Specs putting out enough damage to kill players. Why is this? Because Arenanet has removed tanky amulets and replaced active damage mitigation with passive invulnerabilities. Now instead of dodging power based attacks with well timed evades we have classes running max AoE DPS. These AoE DPS classes are dominating because other classes cannot bring enough sustain to compete with them. They are kings of DPS and AoE at the same time with the best ability to stack boons. You want to know why this game isn’t an ESport Arenanet? Because you catered too much to casuals and made this game too simple. If we had Monks they at least could heal the other classes without sustain directly instead of them slowly dying to AOE and conditions. I call this game Gank Wars 2 and there’s a simple reason why. Immobilise stacking, Stun/Daze chaining and CC spam is neverending and only certain classes have enough Stability or condition removals to escape. There is a general lack of sustain and too much dps (both conditions and power). What is the counter to DPS? Nothing…but in GuildWars 1 it was a Monk and that is why this game lacks depth. Dodge rolls aren’t a replacement for healing and protection that a monk class would offer. I find it funny when people assume GW1 was only theorycrafting builds and counters. The combat was just as if not more active than GW2. The fact is it had interrupts and hexes (based around punishing enemy for spamming). Proper protection and healing spells (able to almost full heal from a spike of dps). Along with Conditions, Melee and kiting, Aoes, block skills/spells and teleports. Also I probably need to mention you couldn’t just spam skills either. They were reliant on energy which you had a supply of and when you ran out it had to regenerate. Just some ideas and my opinion about the different builds. Since the meta seems to be either extreme conditions bunker or burst spike with not much room in the middle. I’m hoping healing support can be made more viable instead of people just seeing green numbers but not getting any loot. Bunker and support do very little damage unless they’re a hybrid to do conditions but you generally need some healing power to be a good support player. Arenanet are buffing support healing and I am glad for it. Problem is most of the full zerker burst spike damage just cannot be outhealed. There’s not much you can do to mitigate the damage either apart from your main heal, dodges, blocks, invulns and evades. A full zerker amulet player will die in a couple of hits yet can 1shot other players, while a full on bunker such as a guardian can tank hits from multiple players. Also the condition guys in the middle cant really be blamed either since he needs to tank and do some dps through the toughness of the bunkers. Even Monks can die and be pressured from burst damage as seen in the video but most importantly it gives a real counter to spamming of dps (either conditions or power damage). Right now it’s just a race to see who can spam and avoid the most damage to win hence we have all these “passive” condition builds and burst spikes that rely on being invulnerable. Boons run out and can be stripped not to mention if the player isn’t in bunker gear they won’t be enough usually unless they have a good amount of toughness. Healing and condition removal is what keeps you alive in an actual fight and it seems to only work in wvw with lots of players running support. Evades/dodges, condition removal, block and invulnerable skills all have cooldowns meanwhile the damage just keeps coming from autoattacks and aoes. This is why I think this game would benefit from having a monk, to counter the insane burst damage. 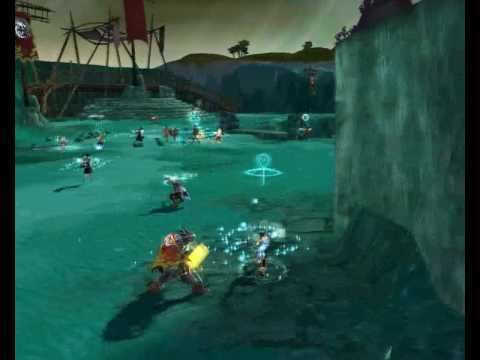 What I want simply is a game with monks like gw1 had where fights can actually last longer than a couple of minutes. But apparently Arenanet decided that healers are boring and everyone should just kill each other with dps. Healing and Damage Mitigation needs a real buff if this game wants to have any chance at being competitive and balanced. Fights lasting longer hones skills and teamwork with players. The best example I can use in gw2 is wvw where there is enough support and the aoe limit of 5 prevents players being bursted down instantly if they make a mistake. The stacking zerg meta is there for a reason and all zerker and condition damage does is make it even more needed. Remember gw1 we had so many skills and different builds and they could all be used because they countered each other. But that didn’t mean that some builds weren’t better than others for certain things. There is too many players complaining that 1 build is too powerful but in my opinion its all based on skill level. Burst can 1-shot bunker or condis but they have more defense making it harder. Do you guys want a game with no “Overpowered” skills and everything the same and boring? Half the fun of games is to have fun and in gw1 I sure had fun in pve with my shadow form tank lol. So in all honesty maybe try different classes more and try to learn all the different skills and how they can be countered. There is no reason for nerfs because you guys refuse to adapt to the meta. I played gw1 had fun but this combat system is more dynamic being able to actively dodge and every class having their own heals. I just get bored of the whole dps wins everything while damage mitigation and healing is not even considered. I think gw2 lacks depth and with a monk it could easily have it. Maybe I’m just the type of player that likes when I’m needed such as Shadow Form tanks in gw1. There are many other players that I think want to be able to feel like they can help the party and be useful instead of just another player. This is why I love healing and damage mitigation and tanking is so fun. I truly believe Thief's burst meta with bunker Guardian’s tankiness and Warrior’s Healing Signet and invuln stances balance each other out. Also Engineer’s, Necromancer's and Elementalist’s Aoe damage controls conquest points. Meanwhile Ranger's pets and long distance damage can take out these targets from a distance. Mesmer’s spamming of clones also allows them to easily confuse an enemy long enough for them to burst them down. This is truly the best meta we can get and if you don’t like it experiment with builds and kill the passive no skill builds as you call them. If some builds don’t have a counter then reroll to them since they’re obviously so overpowered and never die. Maybe try playing as a team instead of trying to 1v1 everything. Burst/zerker will die quickly that’s a fact. Would you prefer the meta to be bunkers and conditions only? This is the state of the meta and Arenanet will not change it because it attracts the most players. Do you think that there is more skill to playing your build and everything else is cheese? This is called not playing to win and making excuses. Everybody plays for or against a profession and thinks it is Overpowered. Well I am simply going to say that is your opinion. There is no balance when everything is “overpowered”. Arenanet will not listen to your complaints obviously biased against certain professions. Because all you want is for them to be nerfed and your own profession buffed. I will link “Playing to win” by Sirlin now. Everything is overtuned. Damage output is too high. Damage mitigation is too high (but mandatory with how high damage output is). Amount of boons and condis being thrown out is too high. Boon/condi duration is too high (both base durations and how easy it is to acquire boon/condi duration stats). The number of things each build can do is too high. Mobility is too high, though to a lesser extent than everything else. The number of AoEs is far too high. Every class has skills that can be overloaded to death. It all needs to be reigned in, and the longer ANet waits, the harder that will be to do. Your right at most points.